Panoramic sunroofs have become the latest must-have for new car buyers and Hyundai is looking to answer any and all safety concerns about these glass roofs. 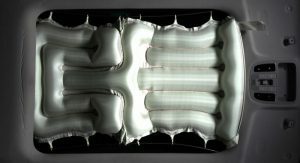 Thus, the South Korean automaker has recently created a panoramic sunroof airbag, which it says is the first of its kind in the industry. Hyundai’s solution involves an airbag being installed inside the sunroof mechanism of the tempered glass roof. If an on-board sensor detects the vehicle about to roll over during a crash, the airbag is deployed forward from the rear of the car and covers the entire roof surface in a mere 0.08 seconds. 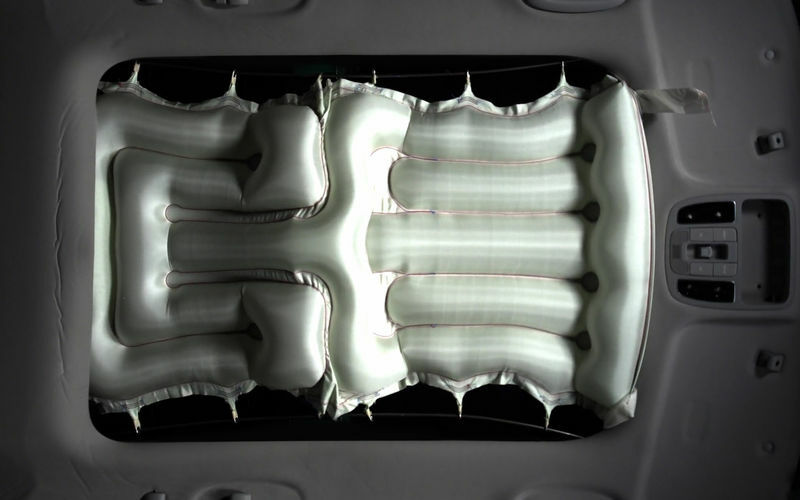 The automaker claims that its sunroof airbag system prevents passengers from spilling out of the vehicle in a rollover, thus greatly reducing the risk of them sustaining serious injuries, although they didn’t provide any info about when they intend to introduce it to its production vehicles. i would never buy a car with panoramic sunroof…. so i dont need a solution to problem i would never buy… but they could use that airbag also for non sunroof models…. I’m actually surprised it took so long for this to become a thing. I’ve always wondered what would happen since almost every other glass in a car is protected by an airbag. I’m just curious to see if Hyundai is gonna do something like Tesla did and let anyone use this patent to really help promote this kind of feature and help protect people. Well done, Hyundai…even before Volvo or Merc introduced this innvovation. Nice idea but they should have developed a panoramic roof without all the creaks and rattles…big problem in Sonata and Genesis. It’s a problem in pretty much all models with a panoramic roof. Just rather have Hyundai/Genesis offer a regular sized sun/moon-roof as an option instead of being forced to get the pano. This type of roof has cracked in these Hyundai cars. That’s what seatbelts are here for. Genius! I hope Hyundai follow Volvo’s footstep, give the patent to the world for free like they did with the seatbelt. Next PostNext Can The New Volvo XC40 Beat The Germans At Their Own Game?